After getting a molecular gastronomy kit, I made some balsamic vinegar pearls (which is pretty easy to do.) Some of my other attempts at creating other creations have failed. 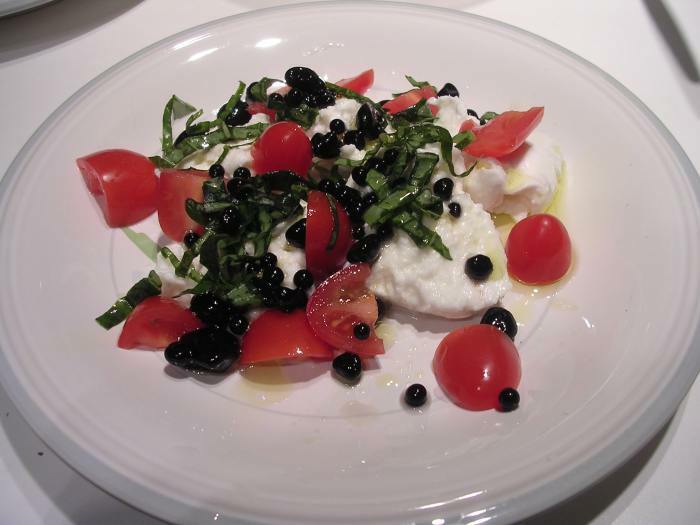 The pearls are served on buffalo di mozzarella with grape tomatoes, fresh basil and extra virgin olive oil. Visually the dish is quite stunning.